Central Thailand is probably best associated with the ancient ruins of Ayutthaya, which nestles on an inland island surrounded by the three rivers of the Chao Phraya, the Lop Buri and the Pasak. Four centuries ago and thirty-three kings later, the ruins are colossal and eternally impressive. As the palaces and temples were constructed, so too were a fine network of canals and streets. The entire island was then enclosed with a fortified wall twelve kilometres (seven miles) in length. A population of one million lived in the complex, which was also home to over 400 temples. Many of the temples were decorated with gold obtained from trade relations with the Japanese, Portuguese, Dutch, French and British thus allowing the city to prosper remarkable by the 15th-century. 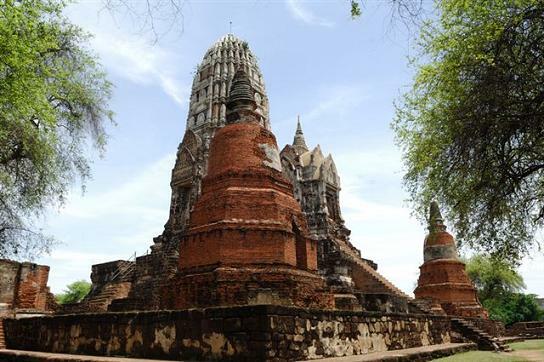 Ayutthaya is situated some 85 kilometres (55 miles) North of Bangkok, which one can reach either by road or with ease, journey up the Mae Nam Chao Phraya River on one of the deluxe boats. A combination of both can be achieved by taking any number of tours available. Just like the interiors of many countries, the central plains of Thailand are often overlooked as tourists tend to explore elsewhere either in the north or south of the country instead. Those who discover these regions are pleasantly surprised as the foundations of Thai society and culture are best uncovered here. 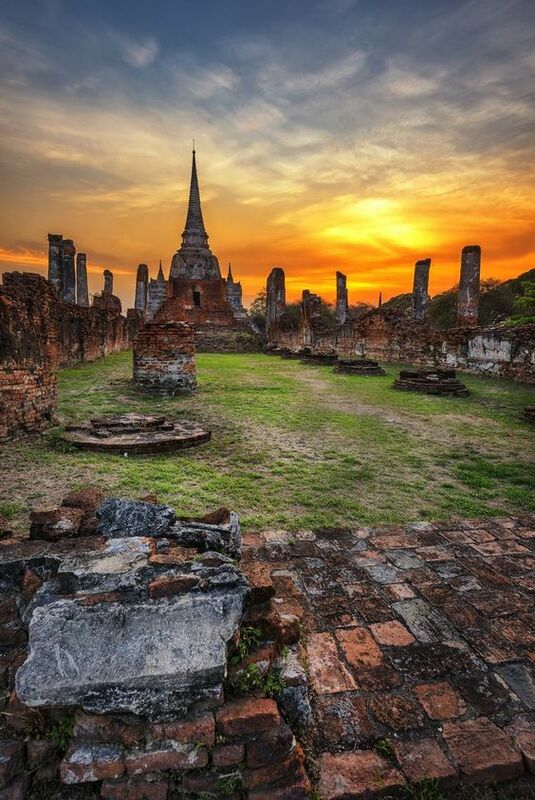 Wat Phra Mahathat is considered one of the most significant temple complexes in Ayutthaya. Not only is it the largest but it is also the oldest dating as far back as the late 14th-century. These ruins are situated towards the northeast end of the island. The splendour of this particular site has to be its huge Prang which originally stood some 46 metres or 150 feet tall. It later collapsed but was then rebuilt to a height of 50 metres or 163 feet. Not far off from the temple complex, you will find a replica of what it may have looked like in its glory days. The grounds here are open daily from 8:00 am until 6:00 pm. 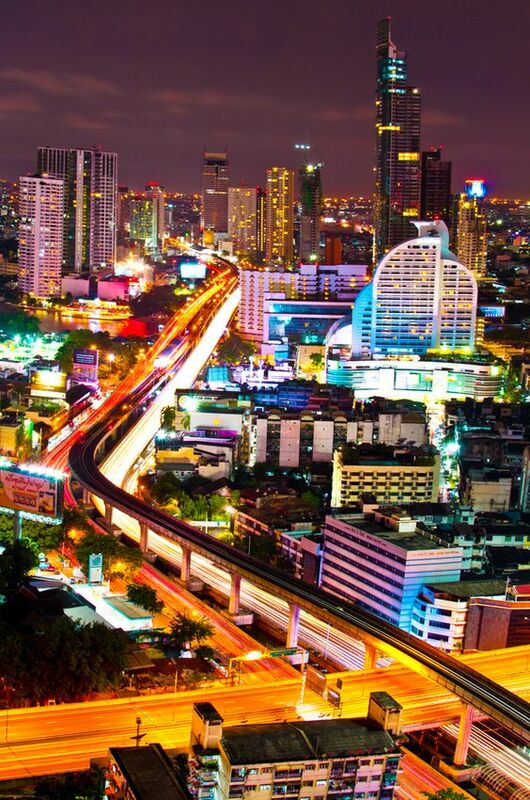 Leave Bangkok behind and for the next 3 days spent your time exploring the extraordinary lifestyles and culture of Thailand's spectacular central region. With 2 night’s accommodation and meals included, this intimate tour takes in the simple life on the river, amazing temples and wetlands filled with wildlife. You'll soon learn that there's a lot more to Thailand than shopping, sand and sea when you discover the diverse landscape that makes this part of the world so much more interesting. If this is something that excites you, don't hesitate to see details above. Booking your tour here (at no extra cost) would not only give me a little pocket money, but you'd be helping me maintain this blog so that I can continue giving you more Thailand travel info. Wat Ratchaburana is a temple complex in Ayutthaya, situated across the road to the north of Wat Mahathat. It was built between 1424 and 1448 by King Borommaracha II in remembrance of his two elder brothers who fought for supreme power over the kingdom, yet somehow they managed to kill each other. It's one of the finest architectural wonders of the region. Renovations to the site were carried out in 1958 which resulted in the findings of a crypt that contained valuable Buddha images, traces of mural paintings, and golden jewellery, all of which can now be viewed at the Chao Sam Phraya National Museum. The grounds are open daily from 8:00 am until 5:00 pm. Sukhothai Historical Park is an impressive historical site in Central Thailand which can be seen from inside the walls of the ancient kingdom of Sukhothai. Fortunately, much of this ancient site still remains today. Within the walls of these ruins are some 20 temples and monuments. 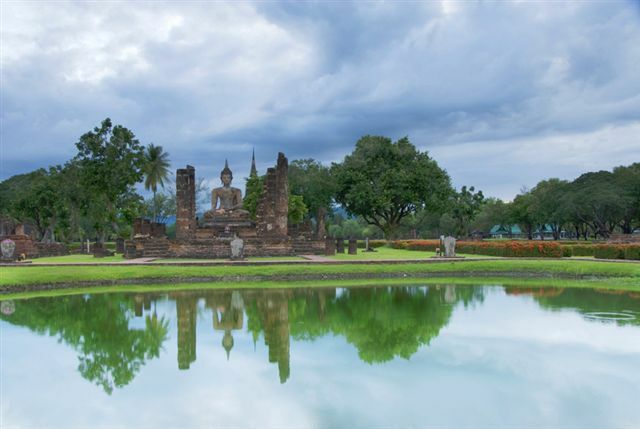 Sukhothai lies at the northern edge of the central plains 425 kilometres (255 miles) north of Bangkok and 350 kilometres (210 miles) south of Chiang Mai. The site is open from 8:30 am until 4:30 pm. The profound ambience surrounding the beauty of Kanchanaburi with its rolling limestone hills and enchanting expansive countryside can be truly breathtaking at times. Then again, it can also feel hauntingly eerie on occasions, especially when you ponder the horrors that took place here decades ago. I still get shivers running down my spine every time I visit this place. Writing about it as I am now, only brings back heartfelt memories of being on such an infamous site. Walking across the bridge over the River Kwai, taking a train ride on part of the winding track, strolling around the town's cemetery or visiting the death museum that is dedicated to all those young lives lost, you cannot help but feel the pain. 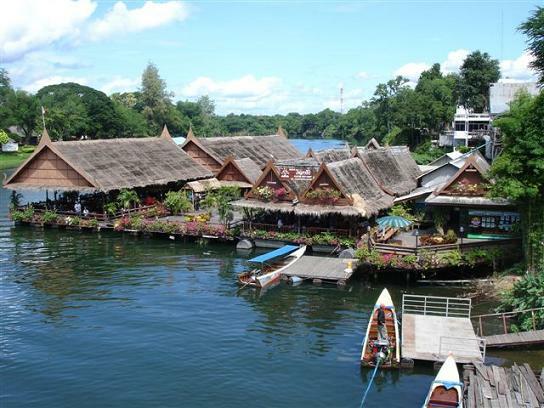 Though Kanchanaburi has a dark side, it's certainly well worth the unexpected. The town's footings are at a junction of the two rivers Kwai Noi and Kwai Yai, which later join to form the Mae Klong. 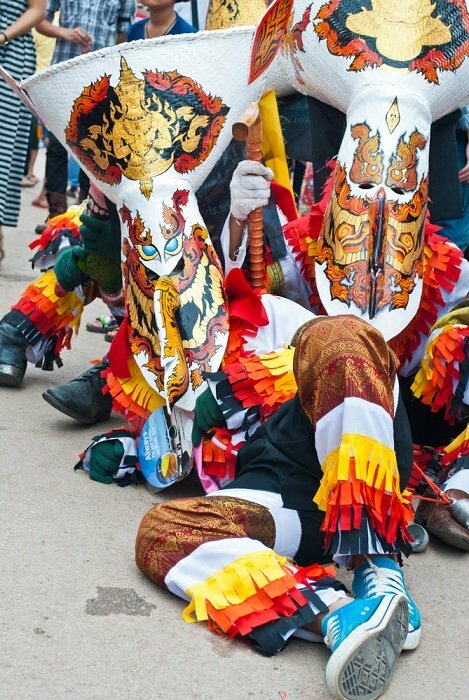 The town of Sangkhlaburi is situated close to Burmese territory on the central western plains of Thailand. It's nestled around a large lake and surrounded by high mountain peaks. If you travel from Kanchanaburi on highway 323, you'll bare witness to some of Thailand's most wondrous natural and historical diversions. Ancient burial sites, a classic 13th century Khmer city, the notorious Hellfire Pass, mineral rich hot springs and spectacular waterfalls are just some of the many surprises along the way. 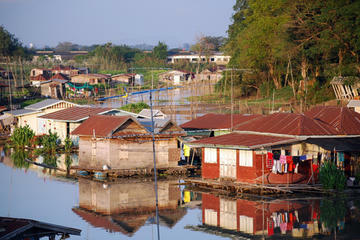 The outlying area of Sangkhlaburi is also host to a few hill tribe villages and home to the Karen and Mon hill tribes. 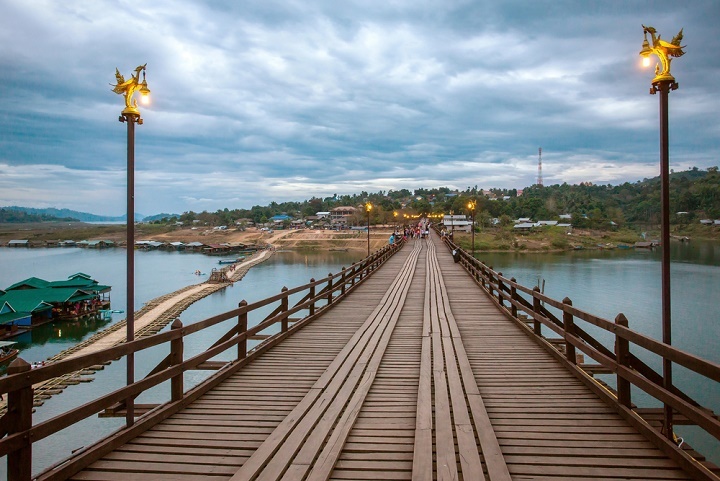 Thailand's longest wooden bridge, wildlife sanctuaries, caves full of bats and the Three Pagodas Pass are more places to visit here. 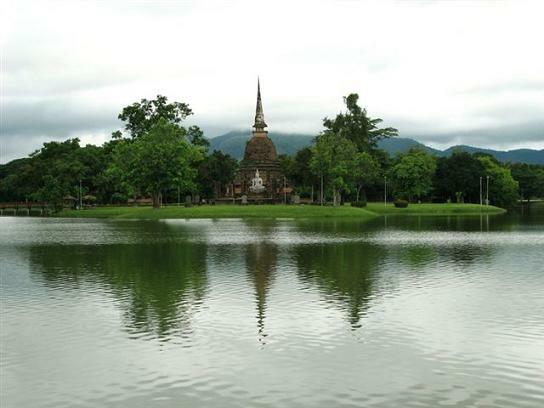 The province of Saraburi is situated on the east side of the Chao Phraya river valley in central Thailand. The surrounding area is mainly made up of high plains and plateaus to the east and low flat plains to the west. The Buddha footprint seen in the small temple of Wat Phra PuddhaBat is one of the main attractions. 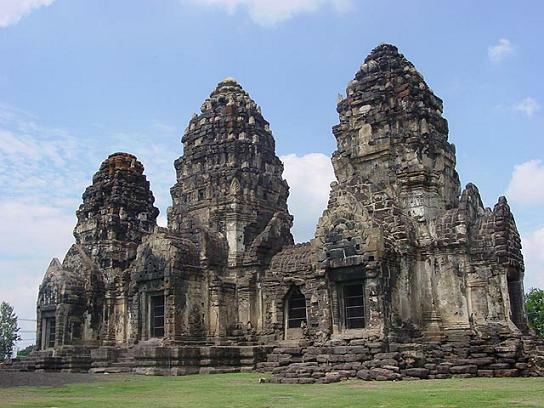 Further north of Ayutthaya in Central Thailand lies the town of Lopburi which was once the former ancient town of the Khmer's from the 10th to 13th century. This town lies 155 kilometres (96 miles) north of Bangkok and is home to hundreds of monkeys who seem to have the freedom of the city. Places of interest here are the King Narai's Palace and Wat Phra Si Ratana Mahathat. While you are in this beautiful part of the world, do yourself a big favour - go and visit the Maeklong Railway Market where you can do a bit of trainspotting of a different kind. This magnificent market is located south-west of Bangkok in Samut Songkhram on your way to the Damnoen Saduak Floating Market. 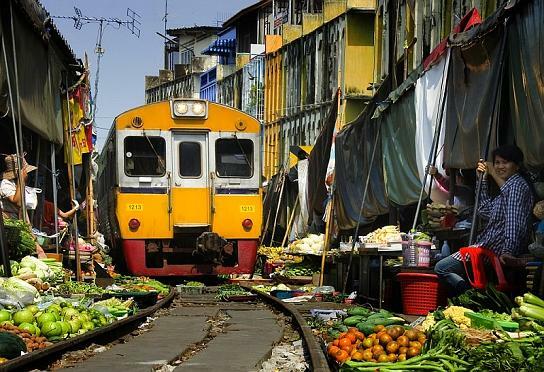 What is so fascinating about this particular place is its lively food market and the fact that local trains pass directly through the market as many as eight times a day between both the towns of Samut Songkhram and Samut Sakhon. Thailand's Political History from the author B.J. 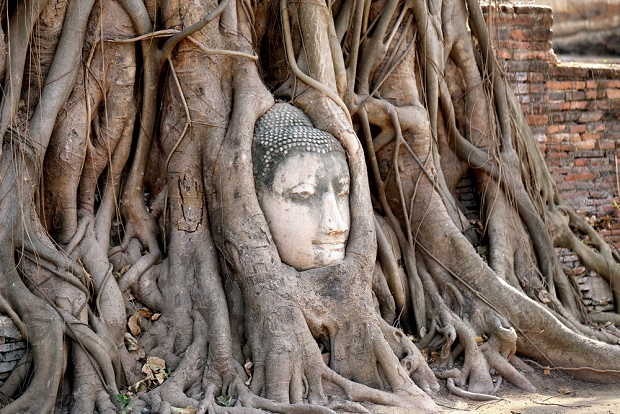 Terwiel covers the fall of Ayutthaya to recent times. 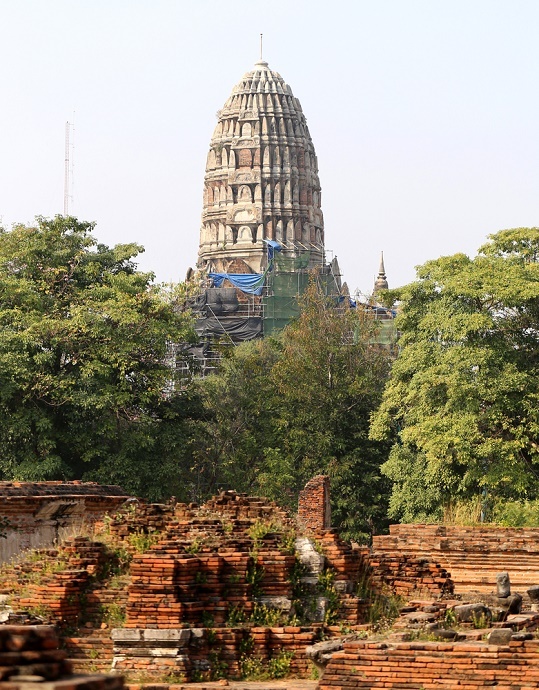 The book takes a fresh insight into Thailand's history over the past 250 years, from the fall of the old capital Ayutthaya in 1767 in the opening scene to present times with the country's massive economic expansion.